There’s another science fiction character, making a welcome return to the screens this year and that is the Terminator in a brand new film; “Terminator Genisys”. Yep, Arnold Schwarzenegger is reprising his role as the time travelling cyborg, the Cyberdyne Systems series T-800 Model 101 Terminator who turned from bad guy to good guy. He’s going back to change history again, but this time, it has already changed. Yeah, the synopsis of the movie confused me a bit too! Anyway, judging by the “Terminator Genisys” trailer, Terminator 2015 is going to be a mind blowing journey. So, while you’re waiting for the new Terminator to hit the screens in July 2015, here are ten facts about the Terminator movies that you may not have known. It’s hard to imagine anyone else other than Arnold Schwarzenegger in the role of the Terminator now, but Arnie wasn't the first choice for the role. Mel Gibson was offered the Terminator role first but, he turned it down. The producers of Terminator also considered OJ Simpson for the part, but they didn't think he looked like a killer. Arnie didn’t want to say the iconic “I’ll be back” line in the first Terminator movie because he was very self-conscious about his accent. Director James Cameron insisted, though, and it has become one of the most famous lines in science fiction movies. The idea for the Terminator came to James Cameron in dream, when he was suffering with a fever. He dreamt of a metal man emerging from a fire, his skin having been stripped away to reveal the robot underneath. They didn’t have the CGI techniques that they have today when the original Terminator was made so, nearly all the stunts and effects were shot on-camera. They did however use models and some stop-motion photography for some scenes. Remember the scene in T2 when the guard gets a poke in the eye and the T-1000 takes on his image? To save money on special effects, twin actors Don, and Dan Stanton were used to play the two versions of the guard. The scene in “Terminator 2; Judgment Day” when the T-1000 is frozen in liquid nitrogen and he starts to break up into pieces was partly shot using an amputee as a double for the actor who played the T-1000, Robert Patrick. They also had Patrick’s feet in holes the floor to simulate the loss of his limbs. Edward Furlong, who played the part of the young John Conner in “Terminator 2; Judgment Day” had no prior acting experience before the movie, he was spotted while he was hanging out at a youth club. During the making of the movie, Edward Furlong’s voice broke so; he had to go back and re-record a lot of the early dialogue, so that his voice stayed the same throughout the film. Arnie was so concerned about the appearance of his body in “Terminator 3: Rise of the Machines” that he worked out for six months to make sure that his weight and size were identical to how they were when he made “Terminator 2; Judgment Day”. “Terminator Genisys” won’t be the last we see of the big guy, Paramount Studios have already announced that there will be at least two more sequels and, Arnold Schwarzenegger has agreed to be in the next film too. Well, not actually Doctor Who but, Matt Smith, who played the Doctor, from 2010 to 2014 will be playing a major role in the new Terminator sequels. It seems, though, that none has been willing yet to reveal what role. 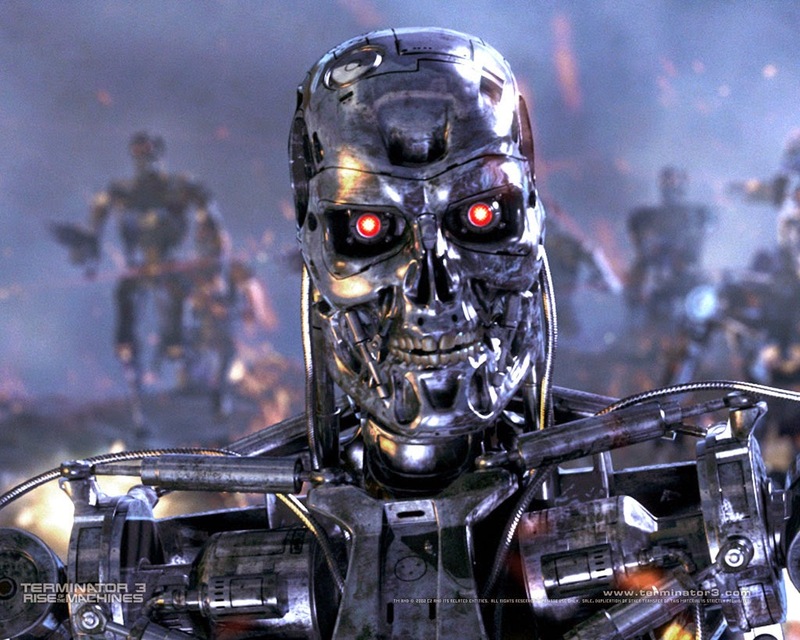 “Terminator Genisys” is due to be in cinemas from June 26th 2015. It’s going to have some stiff competition, though, because there are also the new Avengers on the way and a sequel to Independence Day. More on those another day!